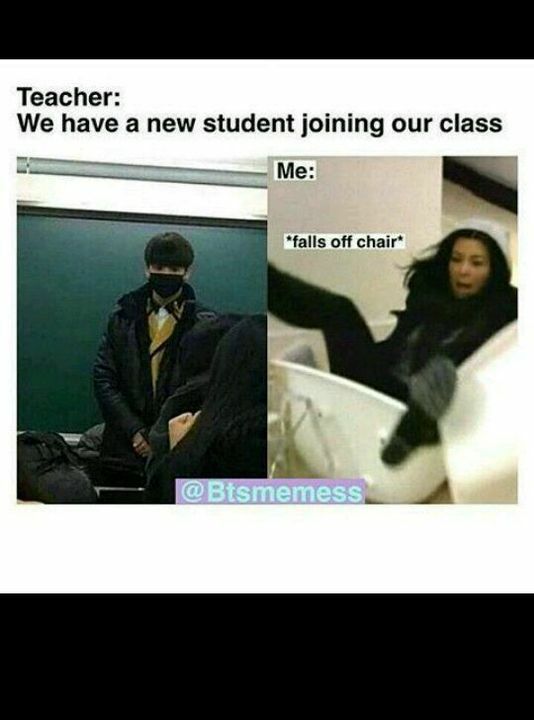 This just went to another level. 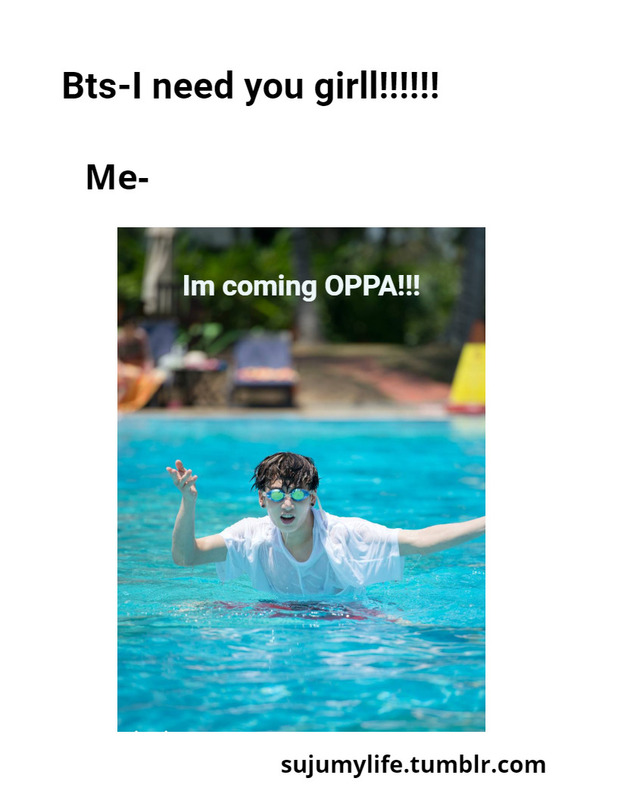 Can I really swim to Korea? 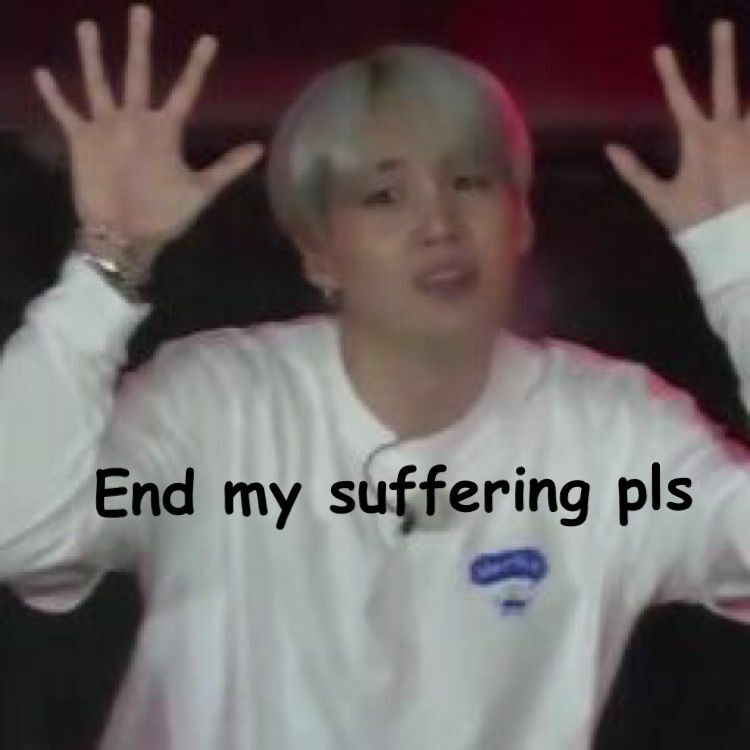 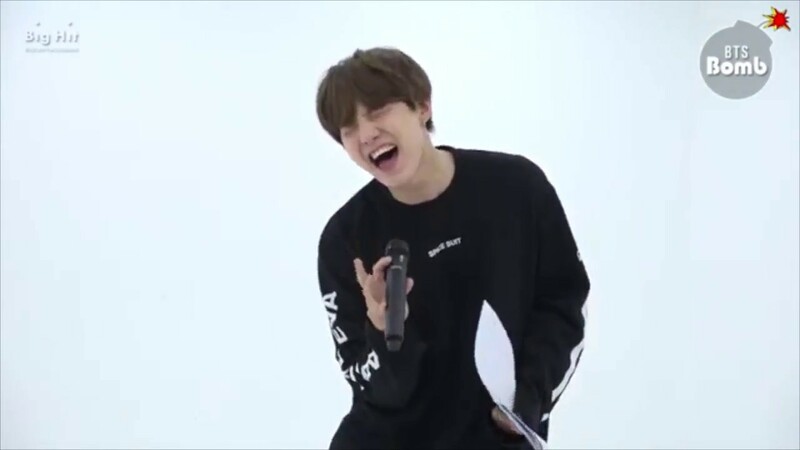 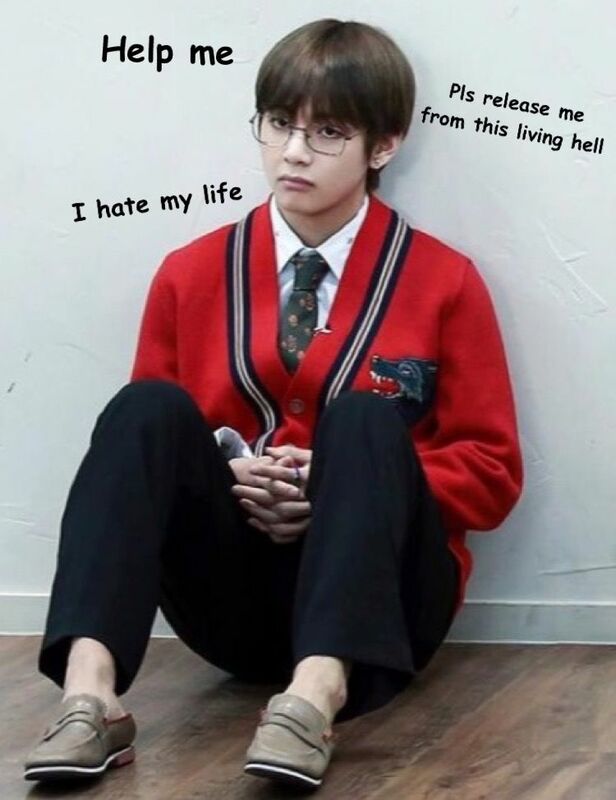 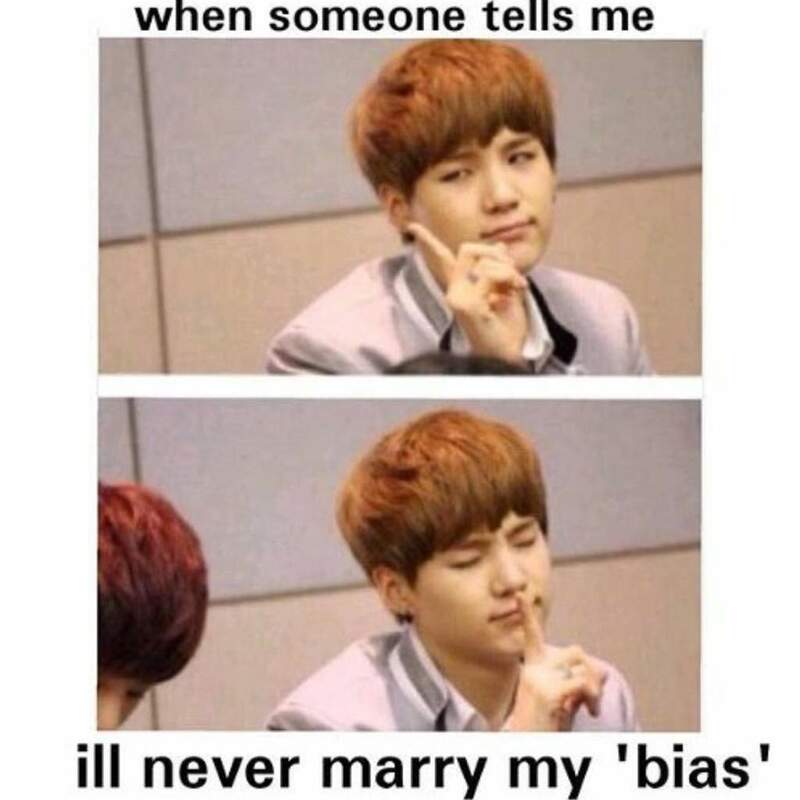 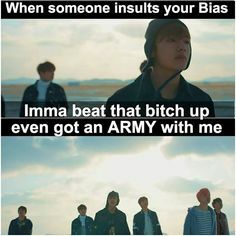 Maybe Japan at least Will my bias notice me? 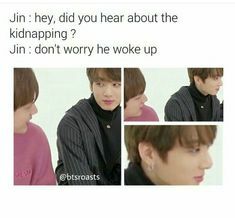 Suppose he gets a girlfriend? 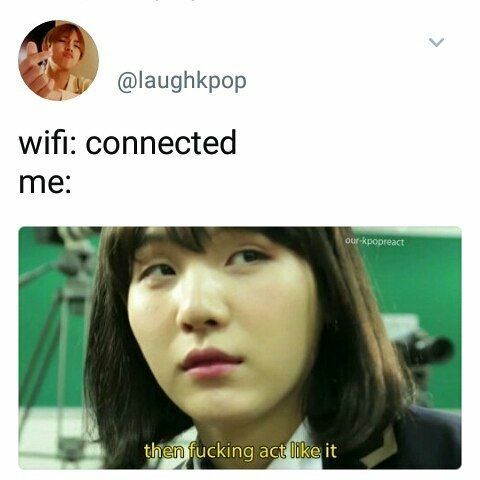 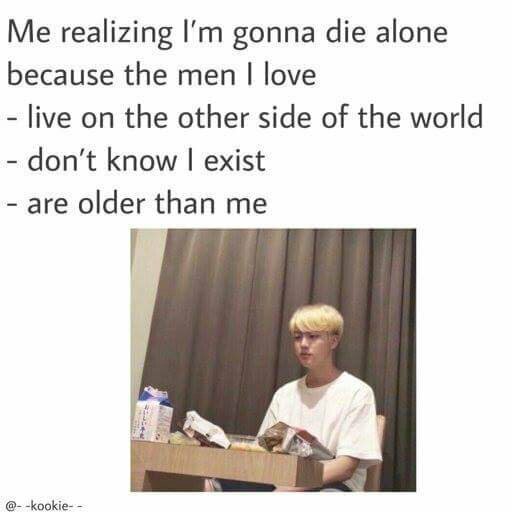 What will I do with my life? 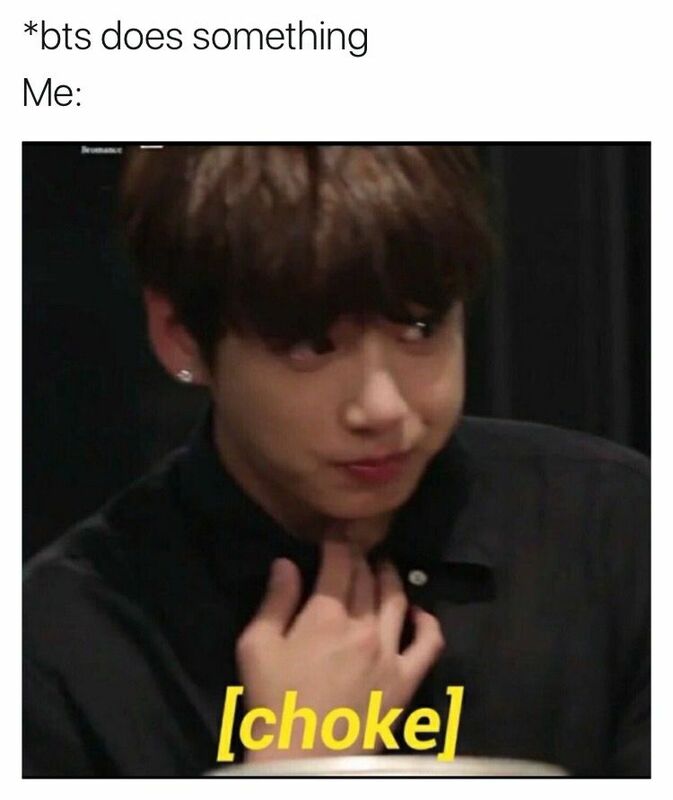 What if I like her? 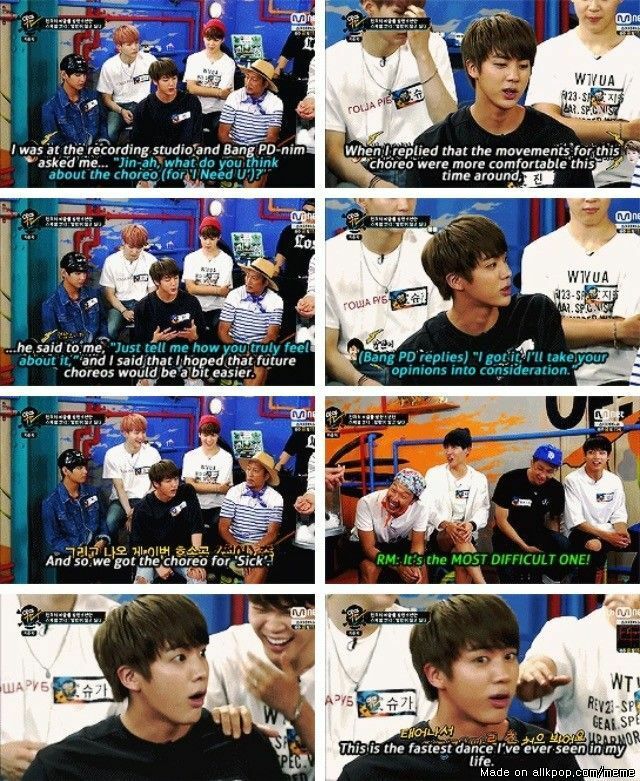 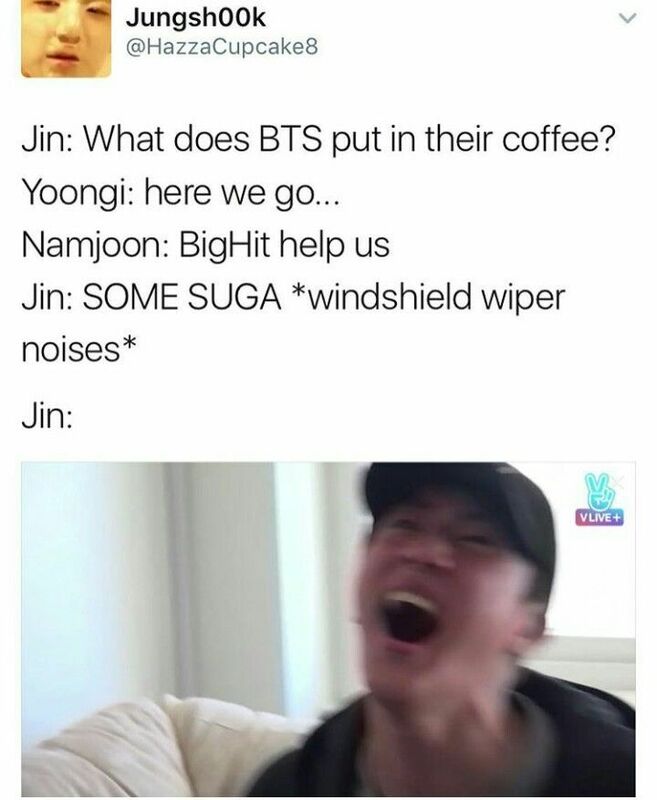 i laughed way too hard imaginig jin punching the glass like "YOU PUNK!" 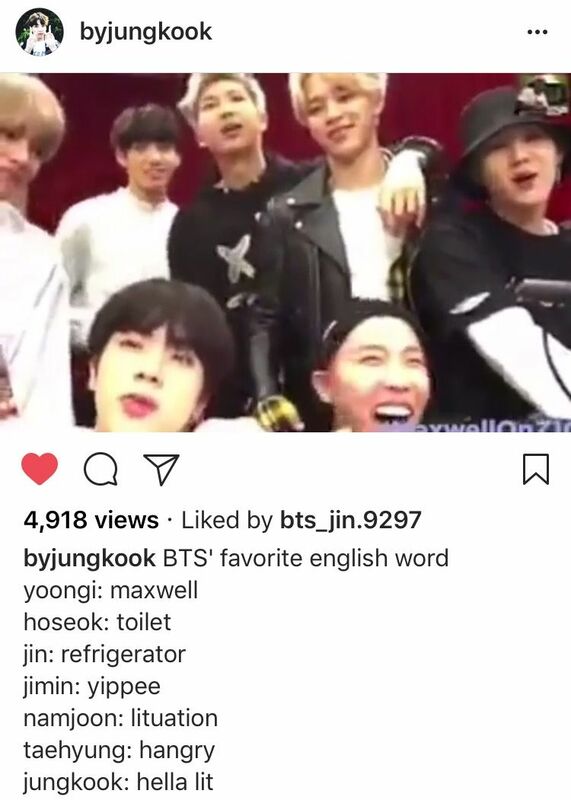 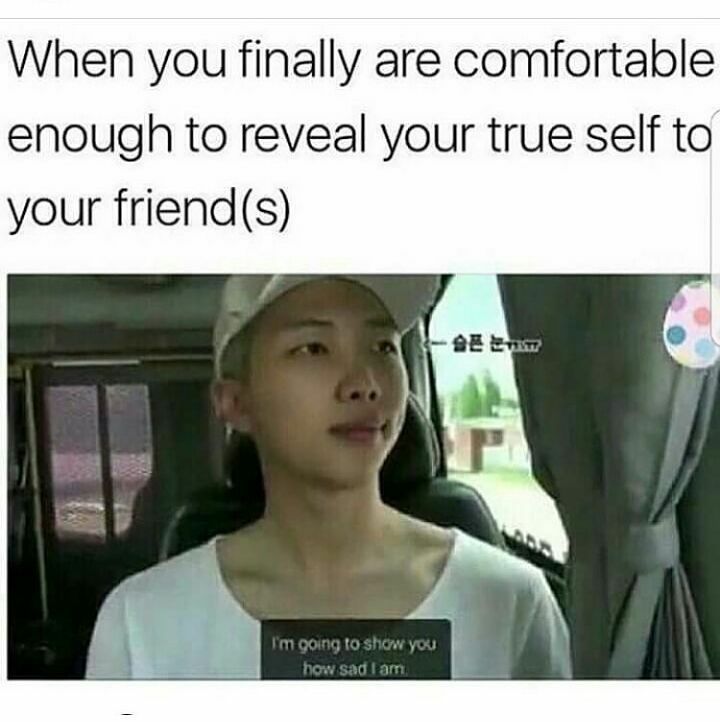 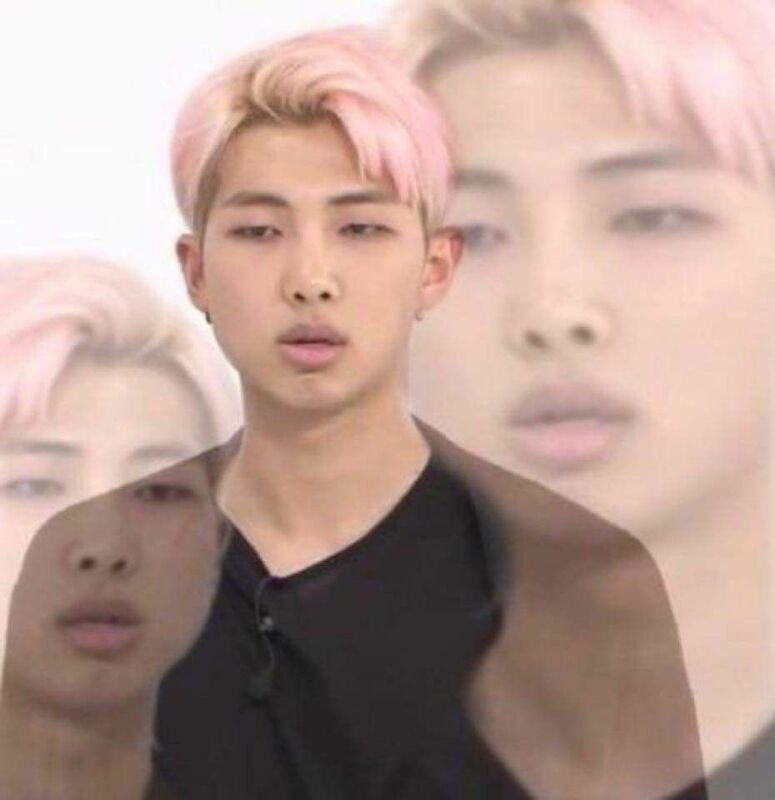 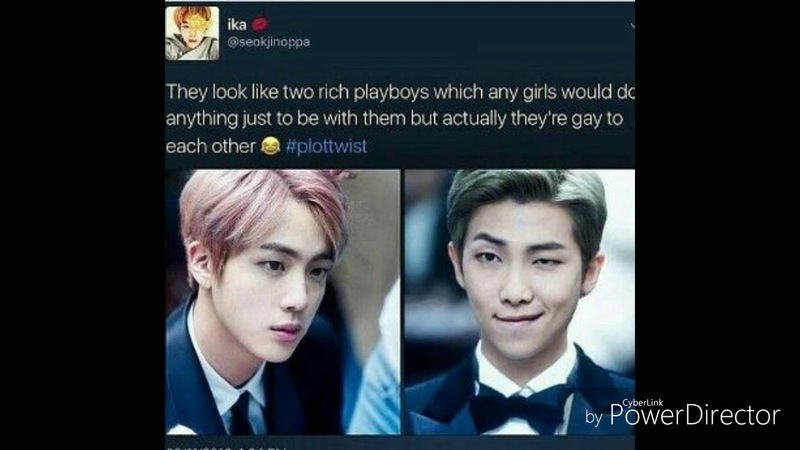 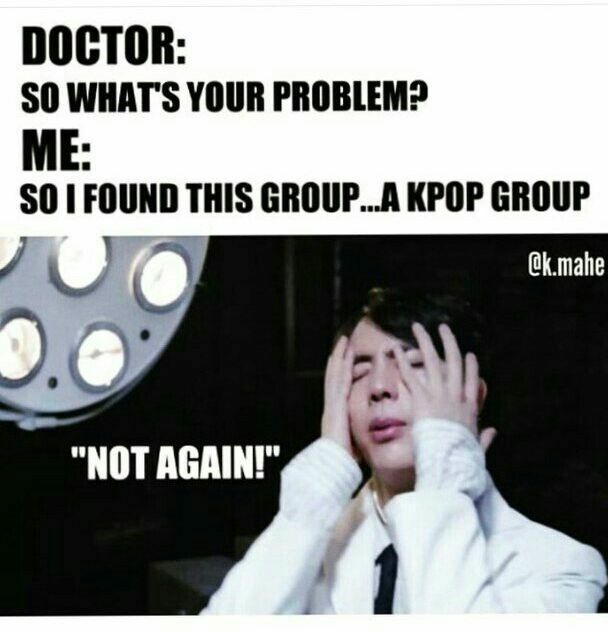 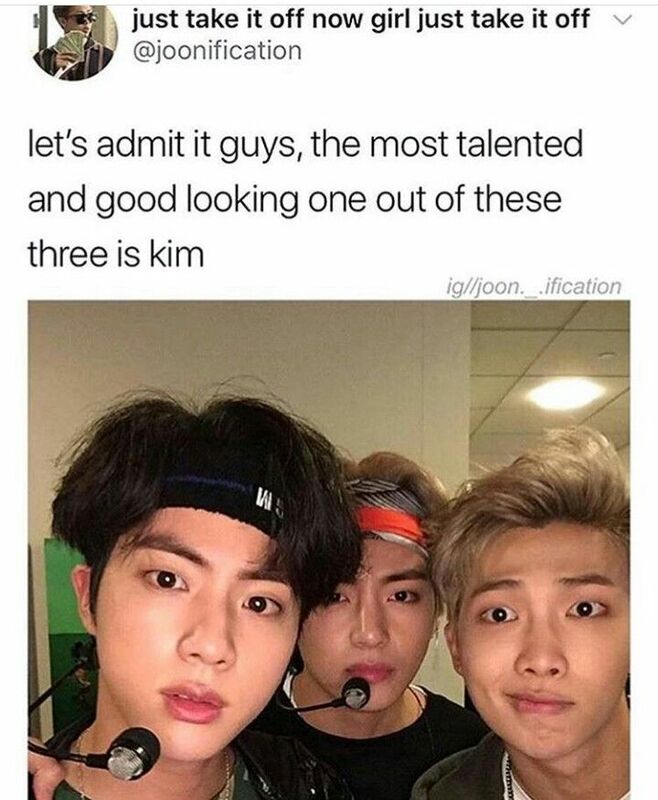 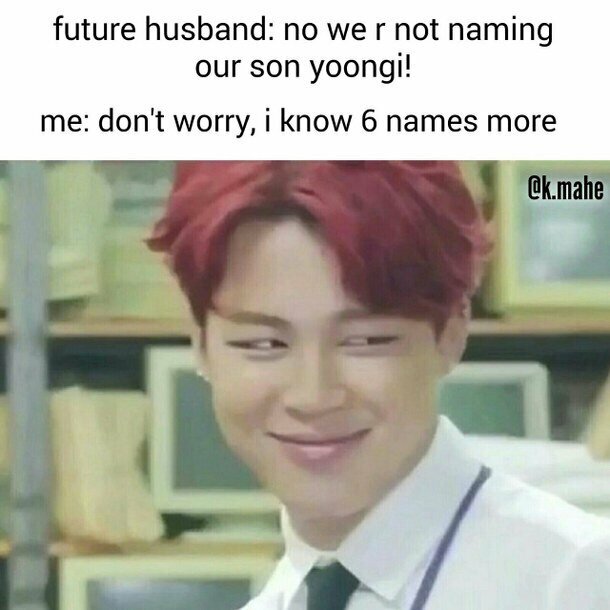 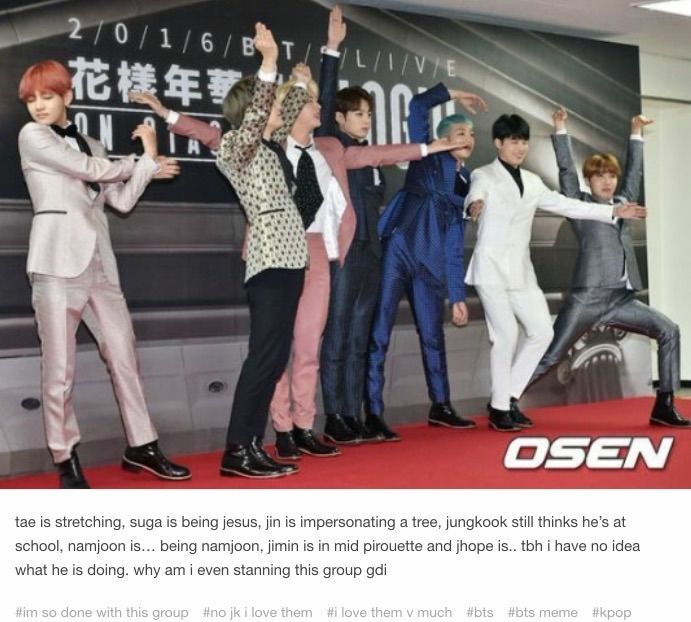 then namjoon being like "....yeah nvm that. 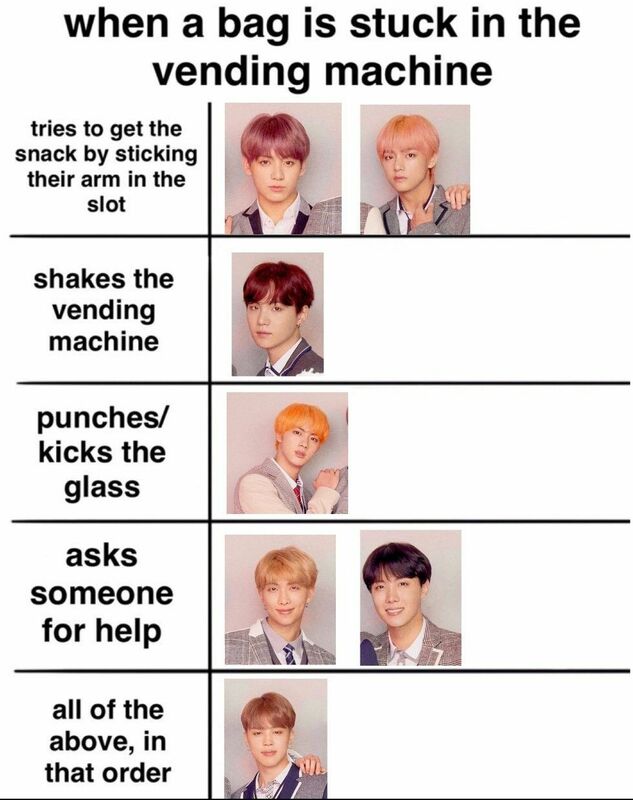 excyse me-"
Enjoy~And also comment your thoughts and reactions! 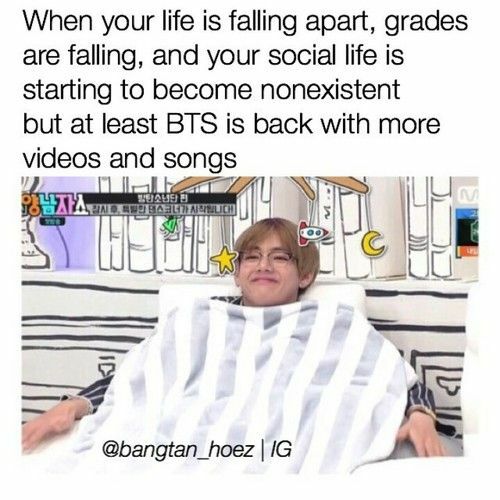 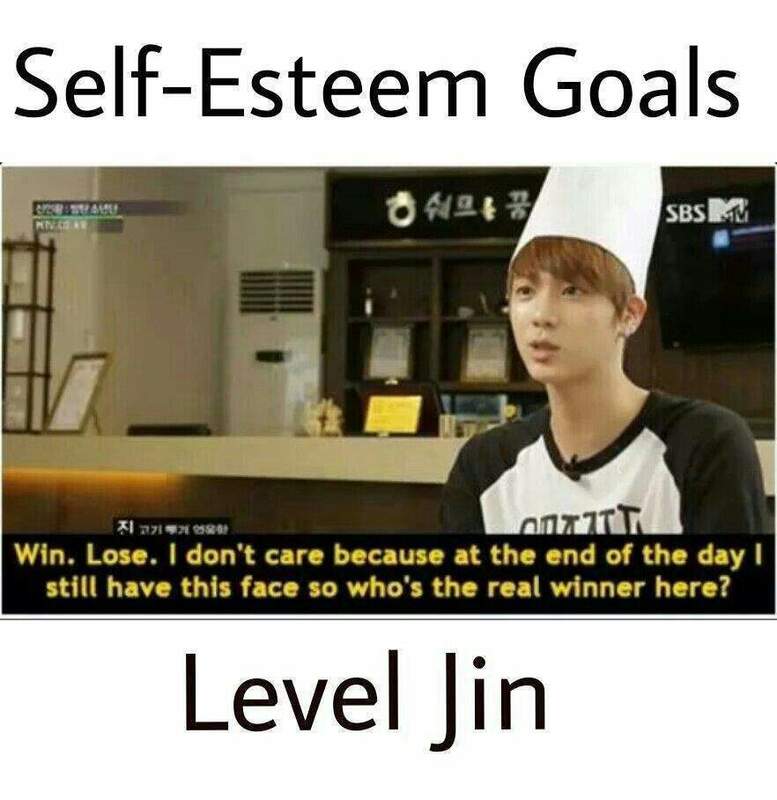 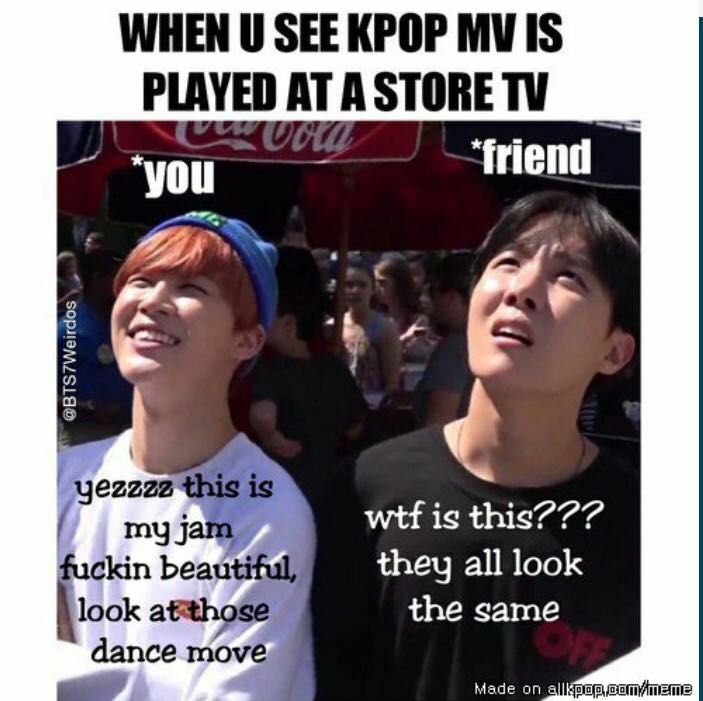 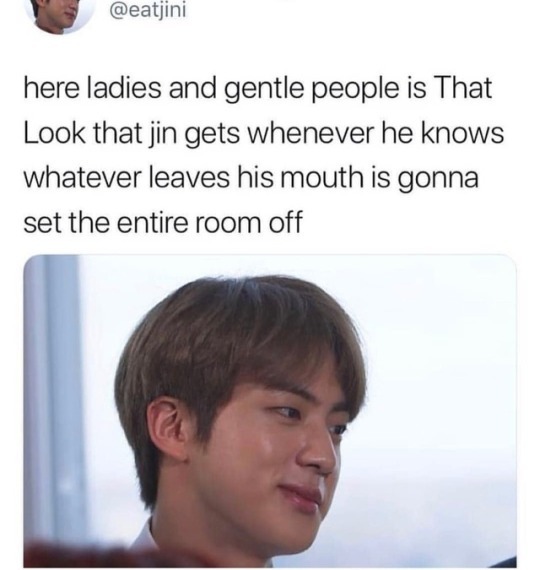 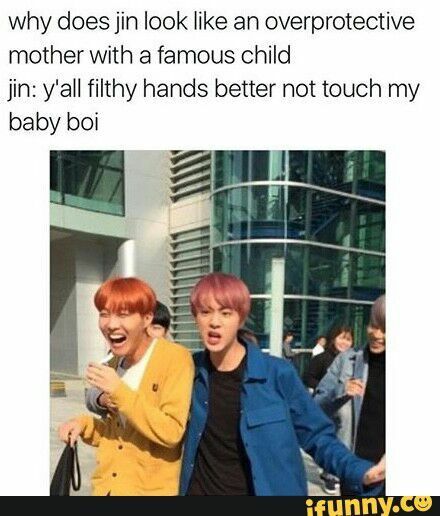 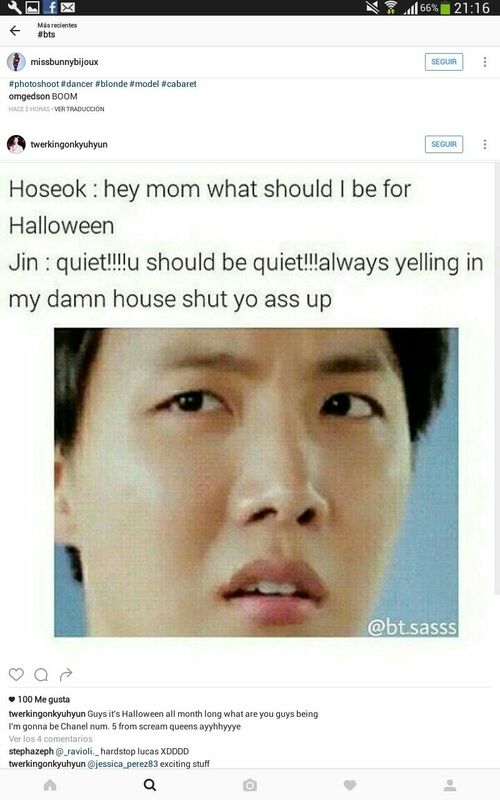 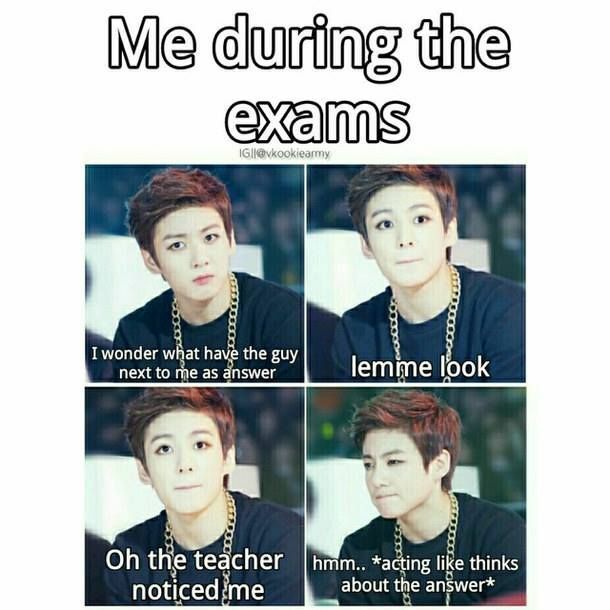 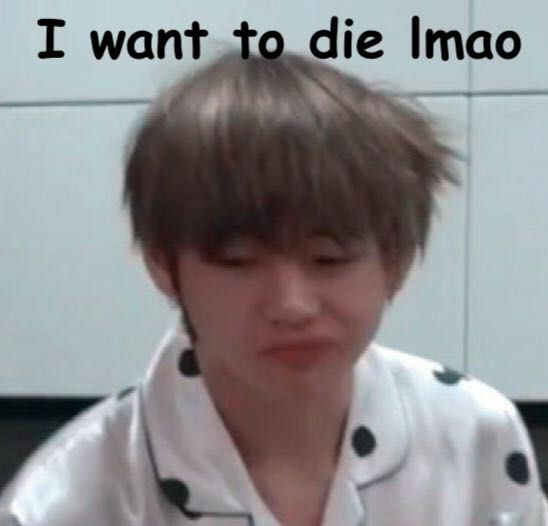 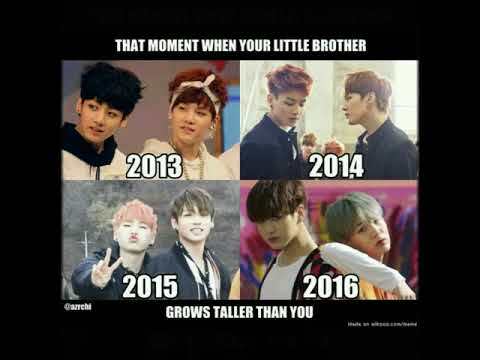 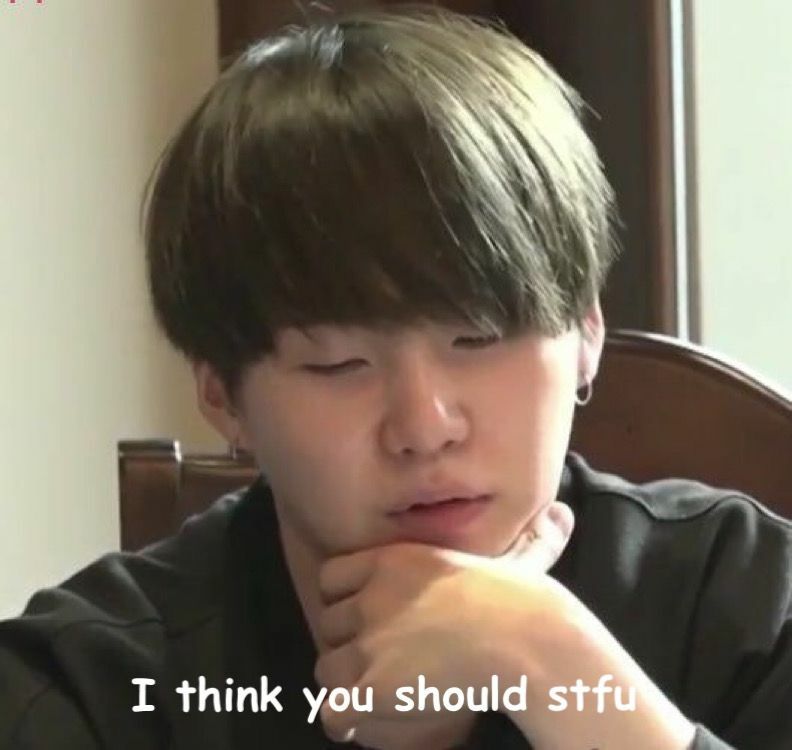 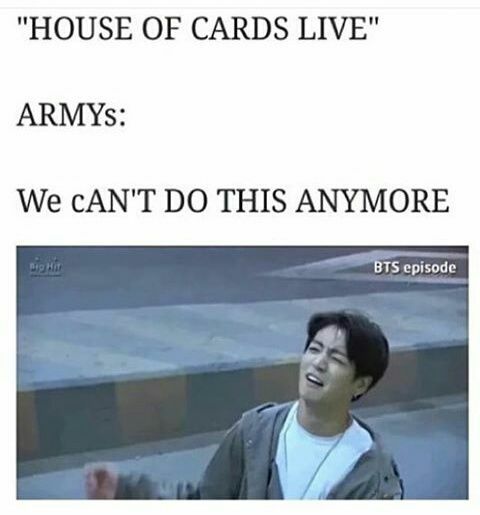 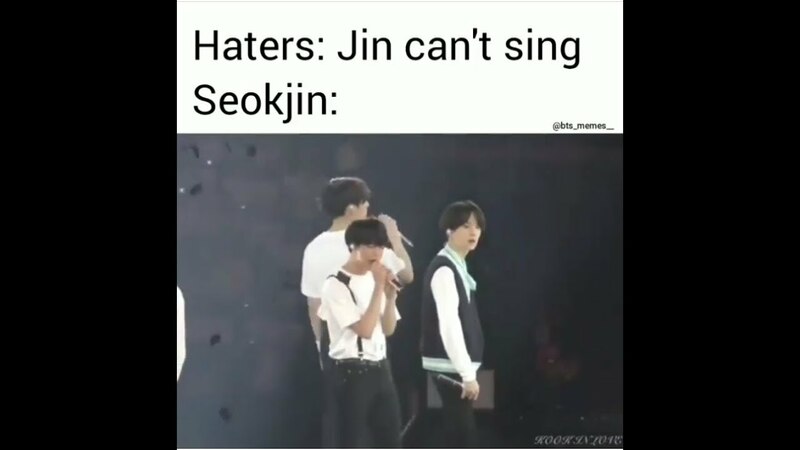 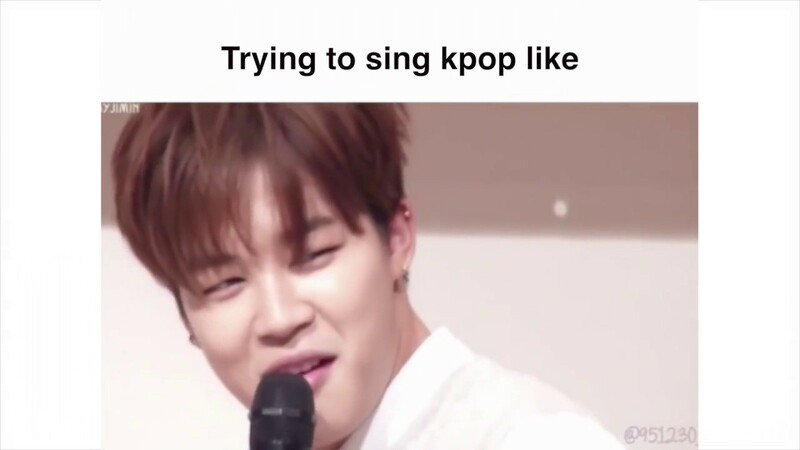 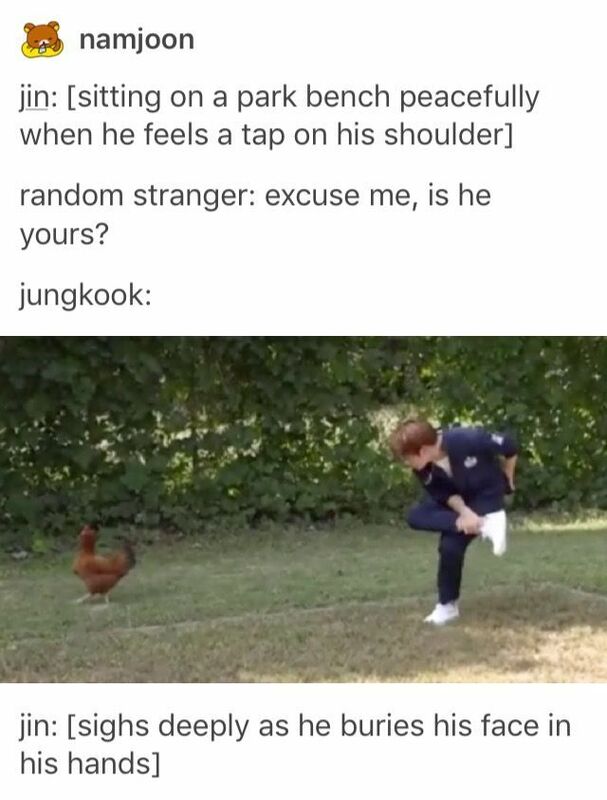 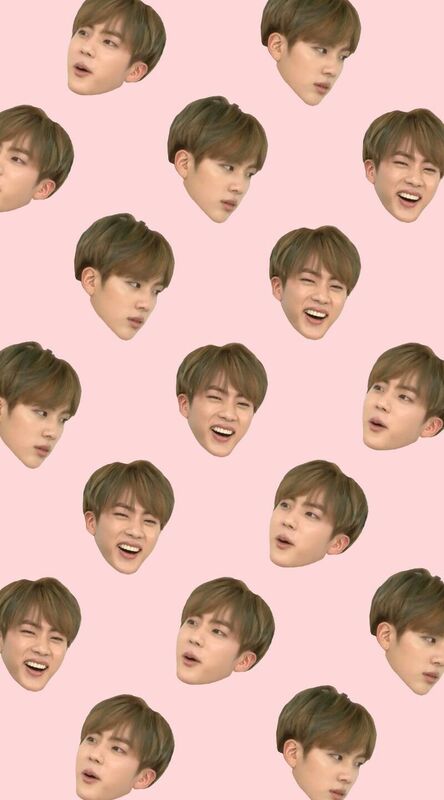 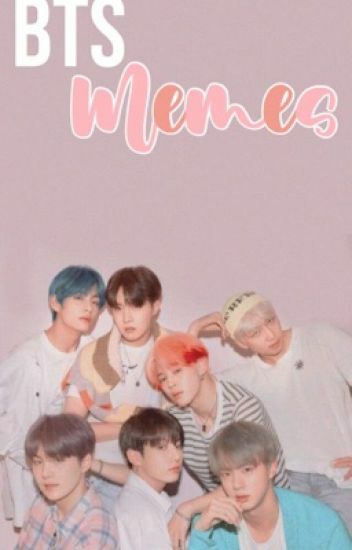 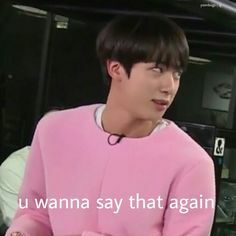 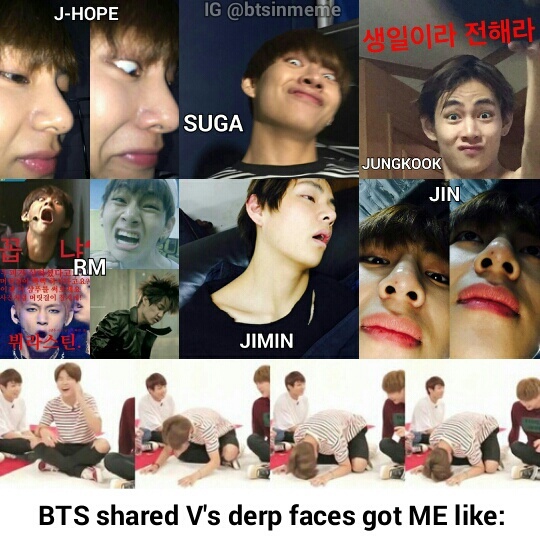 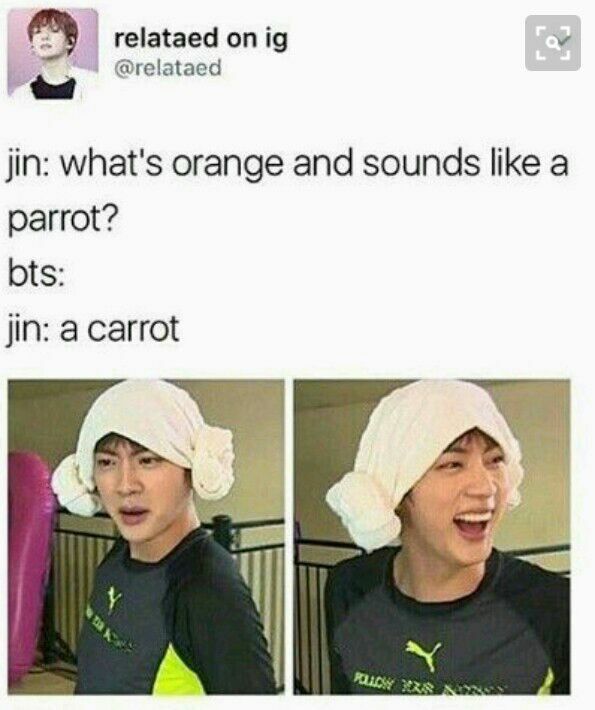 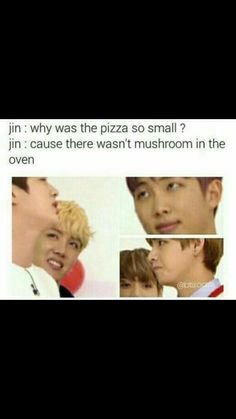 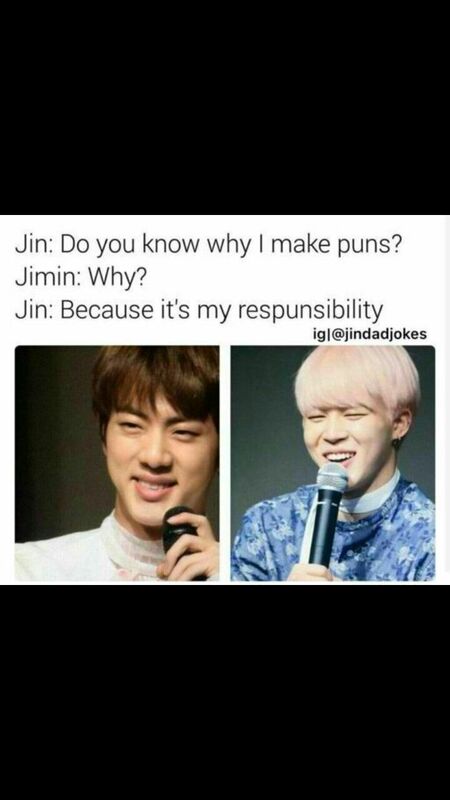 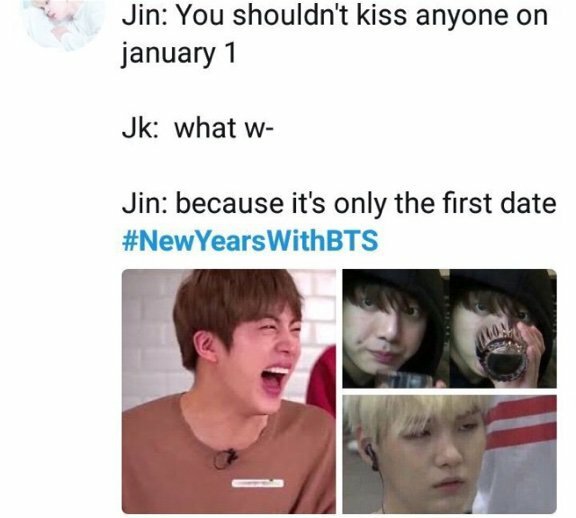 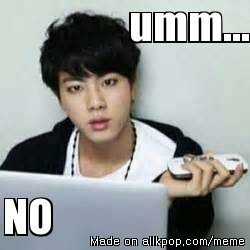 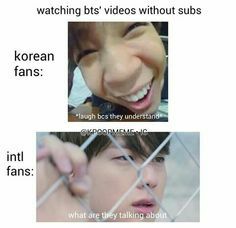 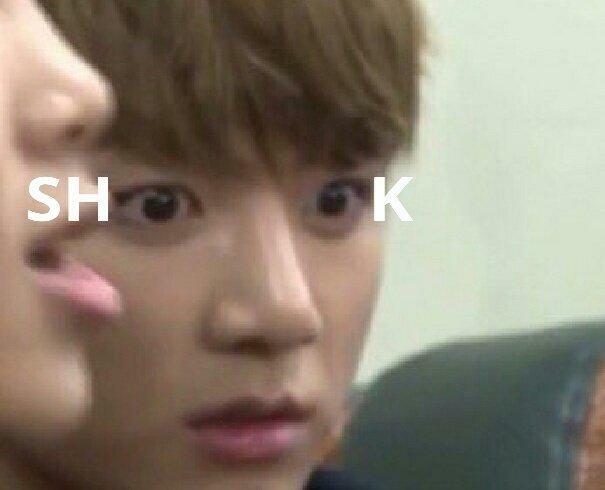 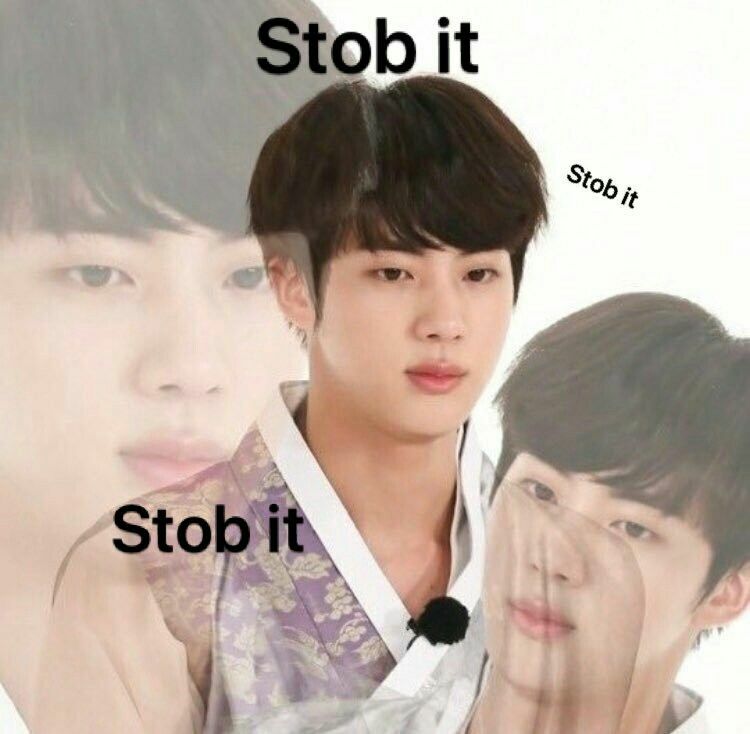 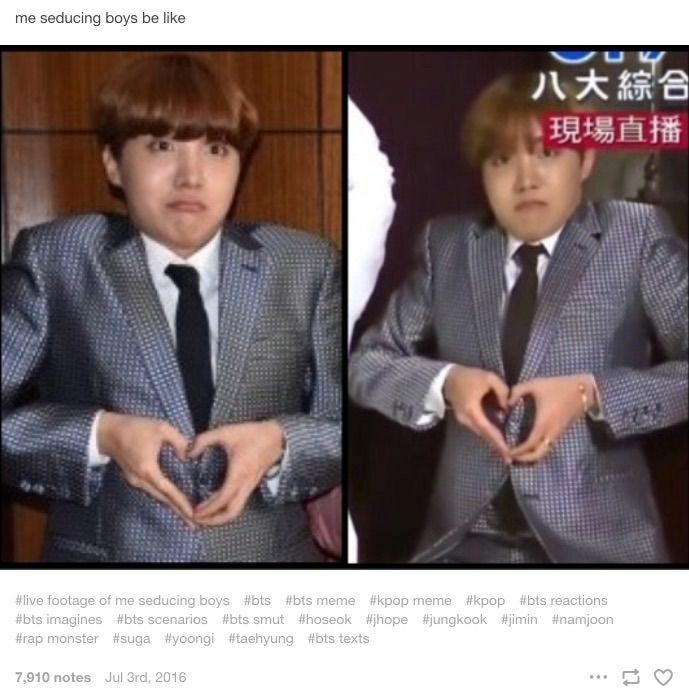 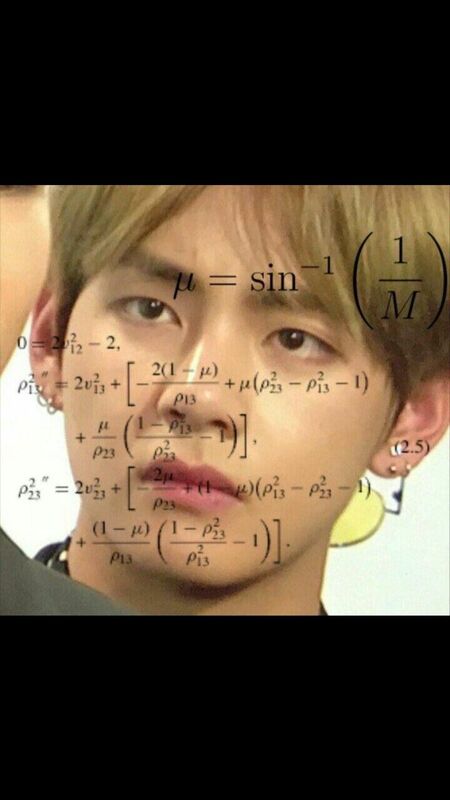 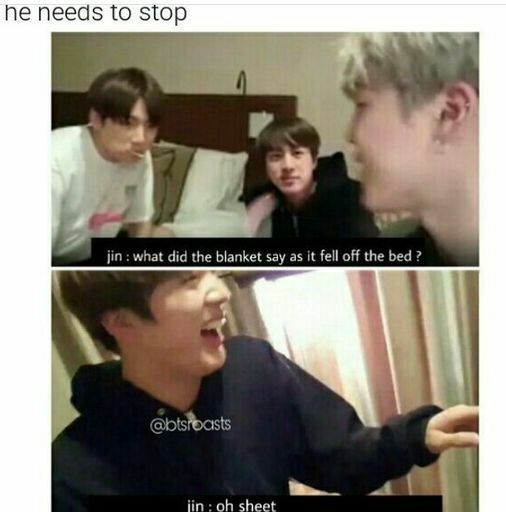 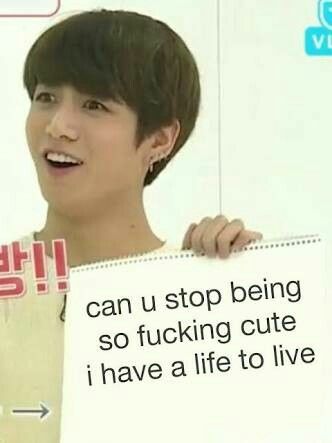 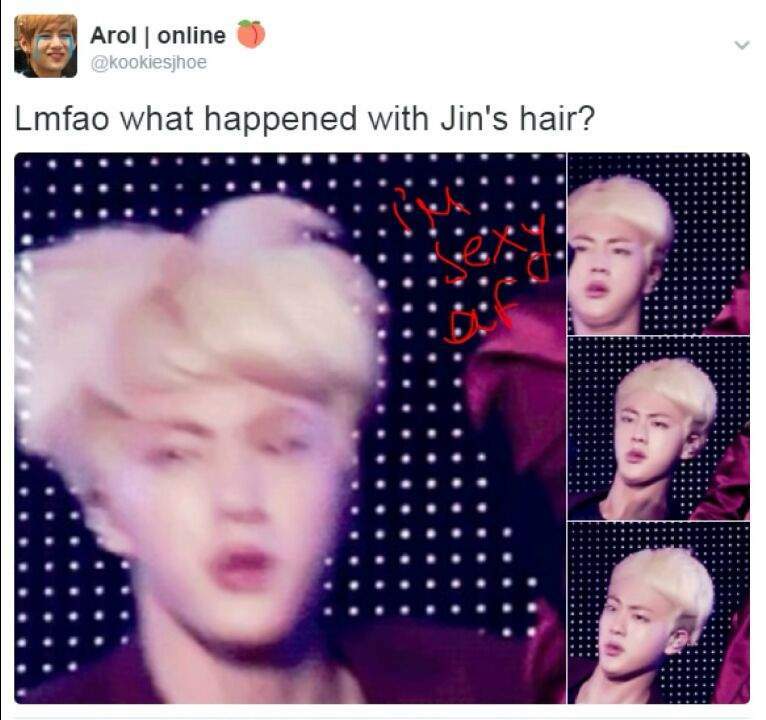 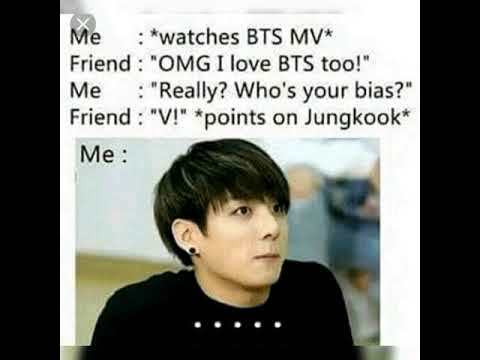 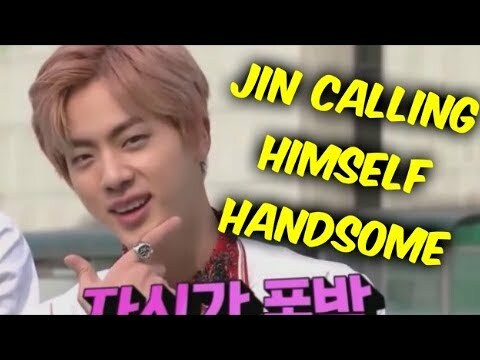 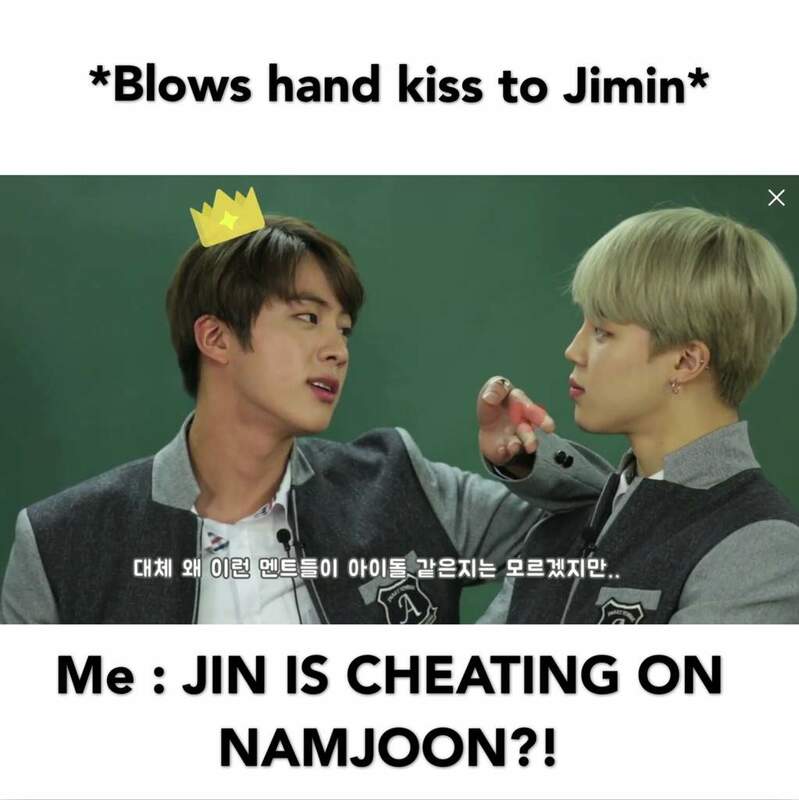 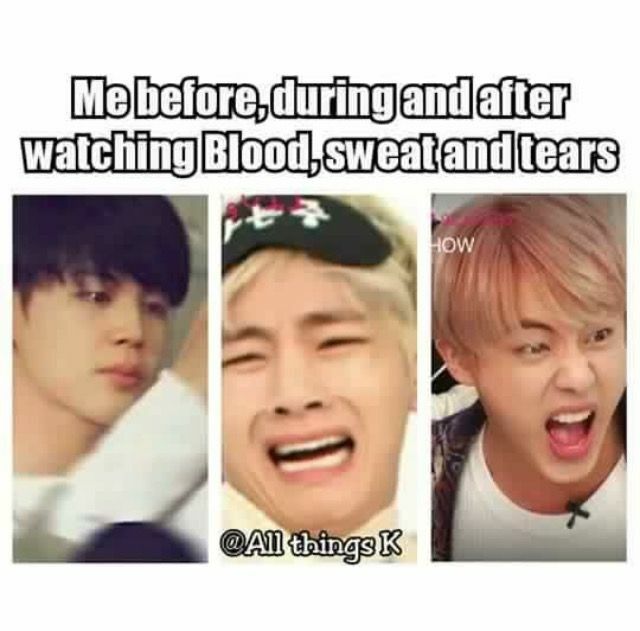 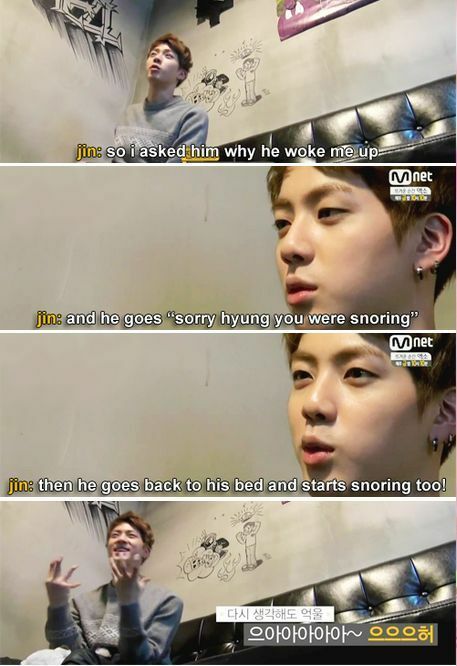 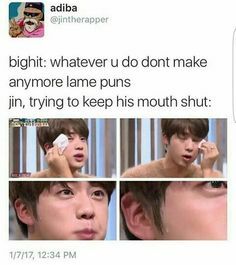 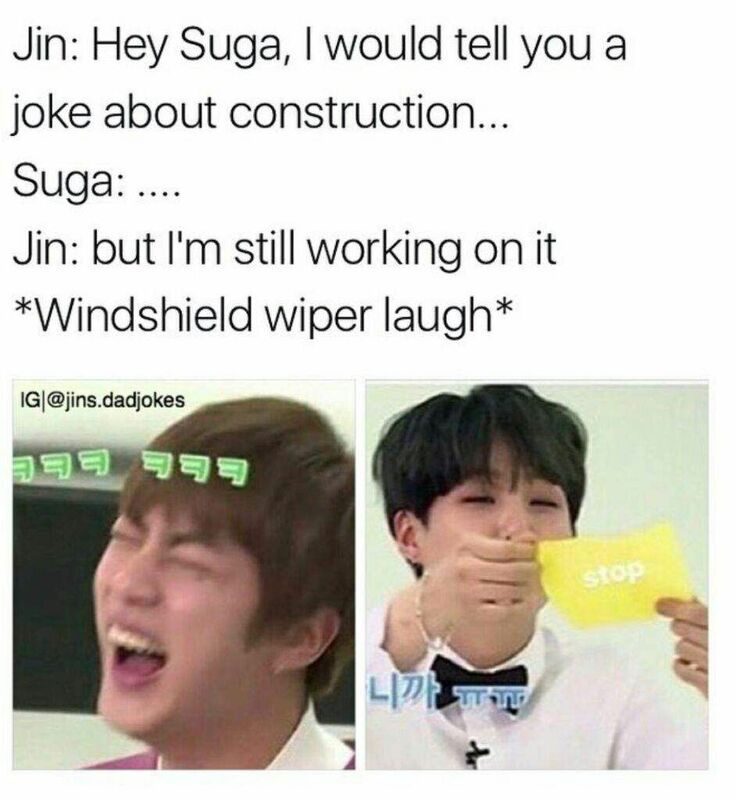 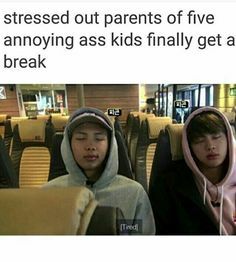 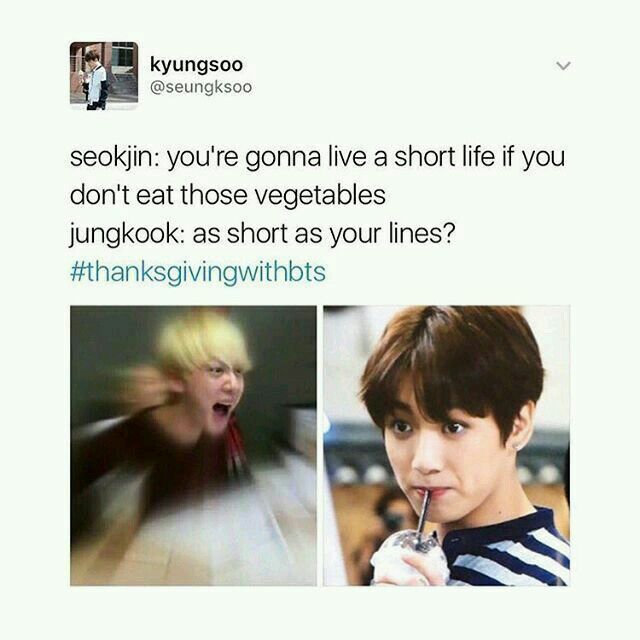 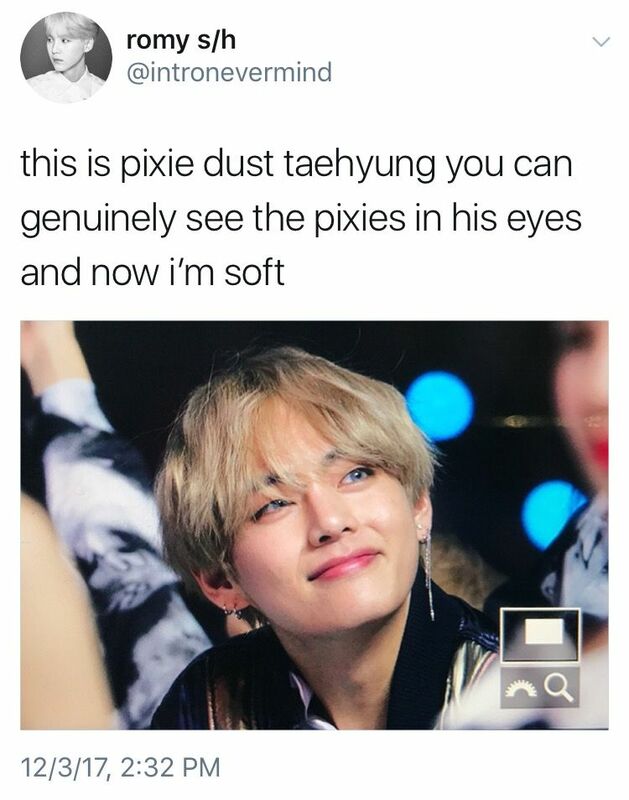 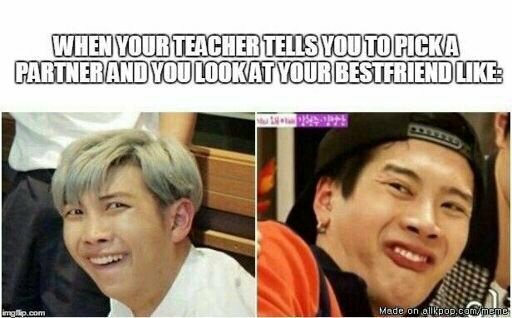 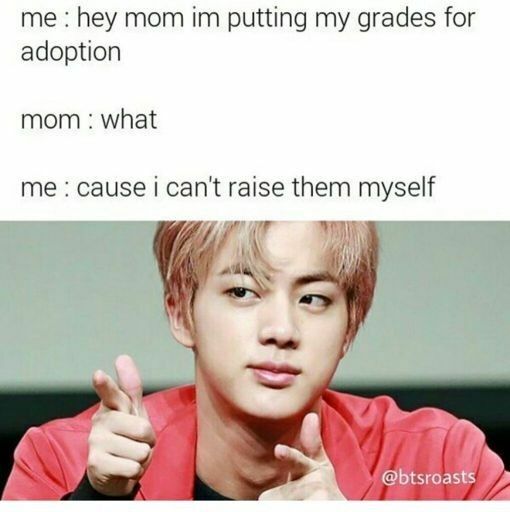 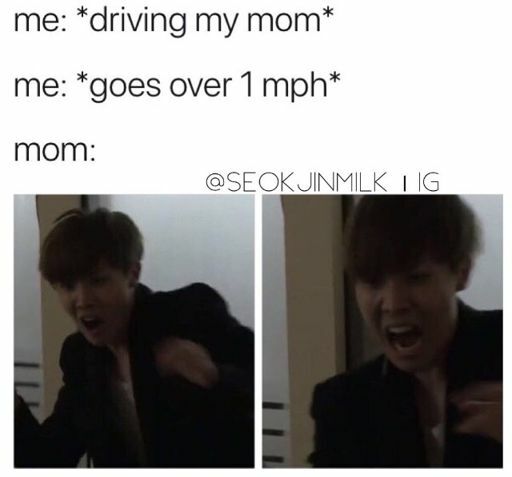 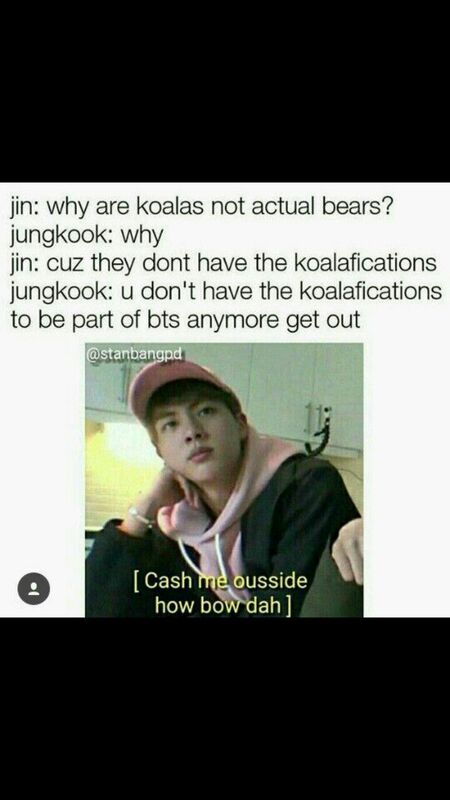 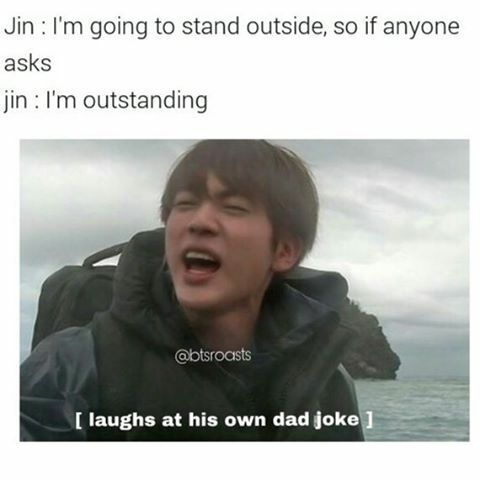 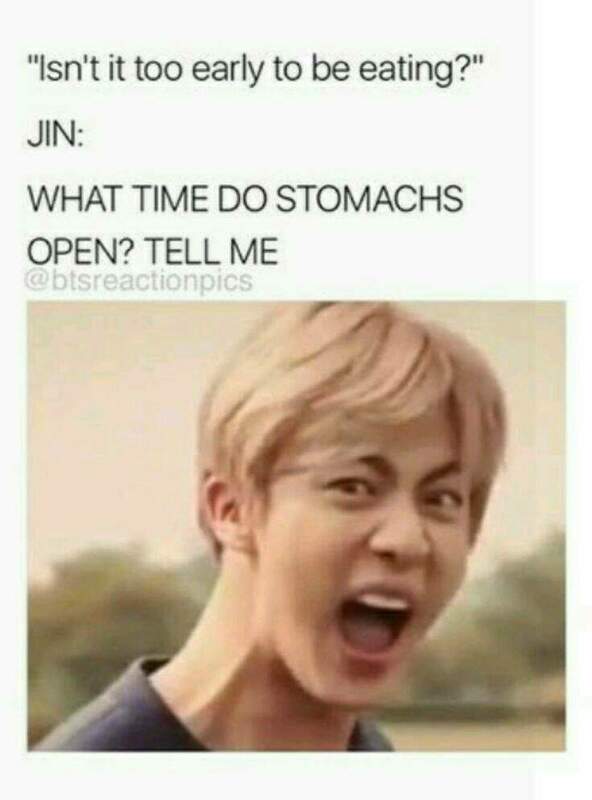 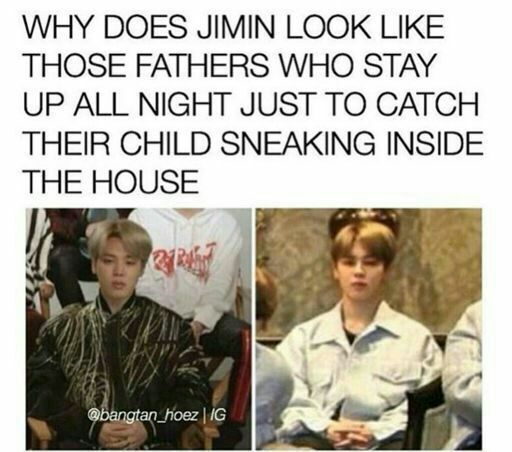 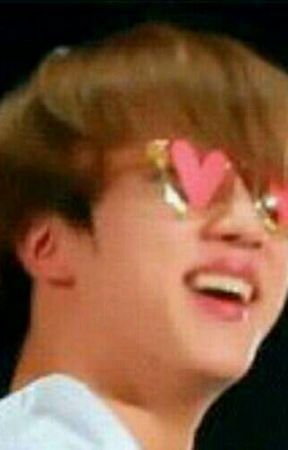 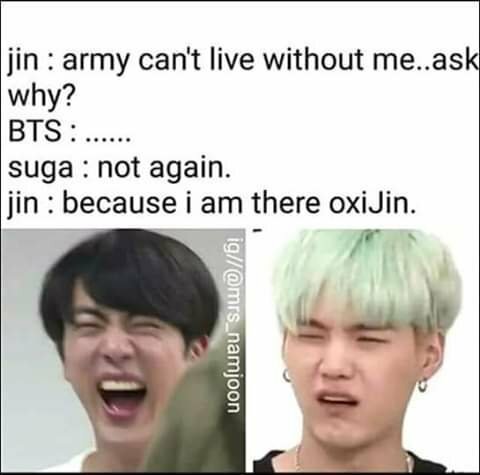 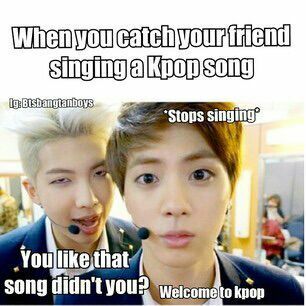 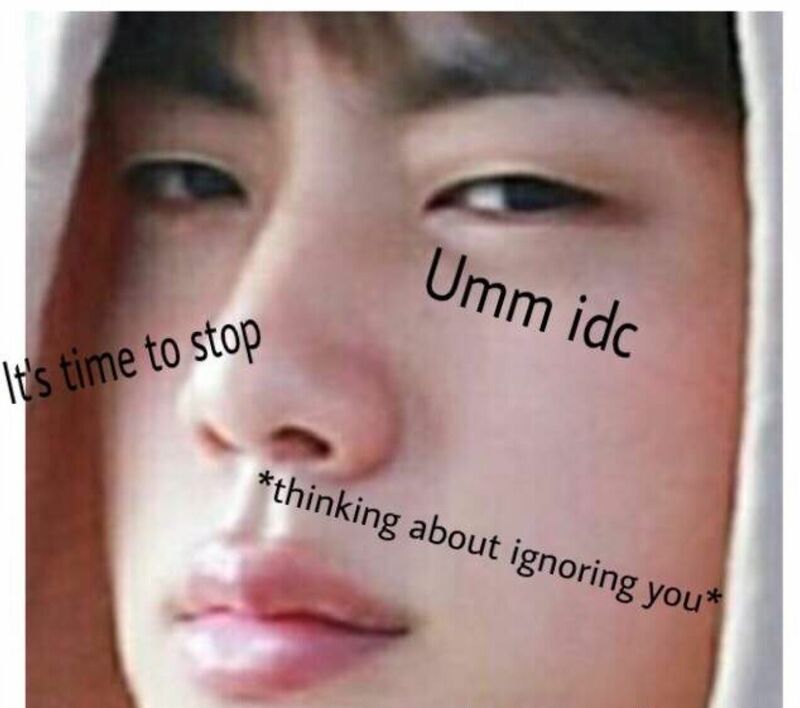 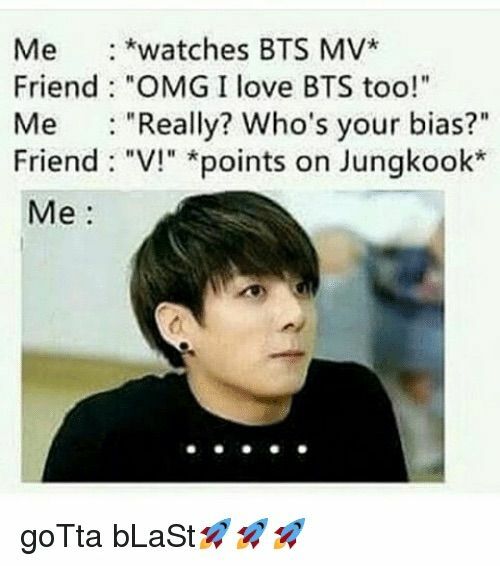 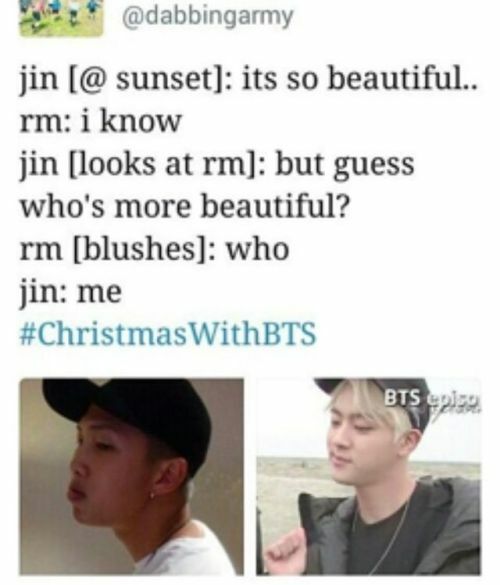 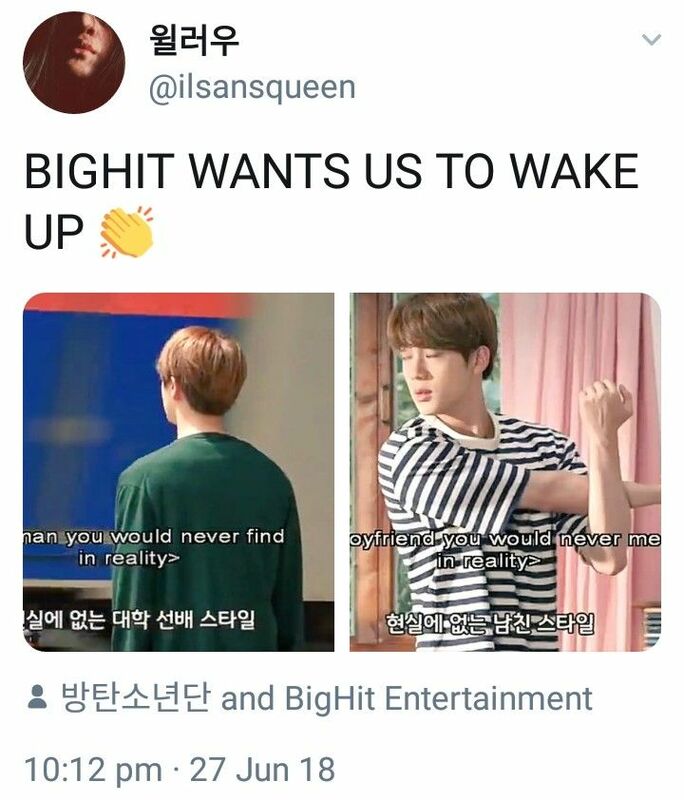 These memes are memes I found that r cute they maybe not as funny but they look so cute my favorite is the one with Jin eating in the background.